In a recent meditation I again underlined my own desire or intent that I move into my full ‘beingness’ in a ‘magical’ and ‘sustainable’ way. This intent was magnified at a workshop with some amazing people who helped me bring in the Quantum Creator part of myself. Magical is a key word here, delightful, joyful and above all loving. I have heard from many sources recently that we have attained our Mastery, that we are now Masters in embodiment. Have a look at my post Discovering my Golden Star Being for some insight into my Magi persona and Being Quantum for my latest downloadable meditations. Also visit my website Absolute Balance where I share some of the latest energies and the wonderful new sacred geometry that has been flowing through us recently. I recently launched my new Tera Mai (TM) treatments based in Minehead, UK, details at colinwhitby.com (Achieving Balance). This book summarizes THE BEST insights of thirty-seven of the world's most authoritative sources. 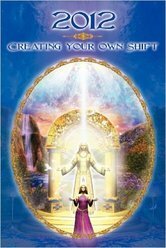 It provides readers with a vast cross-section of information and perspectives on this initiation into a divinely ordained, new beginning for our world! 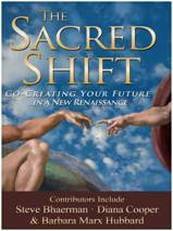 The authors of this prophetic anthology explain what's happening around us today and what "ascension" is all about. Each chapter adds dimension, reassurance and excitement about this exciting transition. Contributors to this anthology include Barbara Marx Hubbard, Steve Bhaerman, AKA Swami Beyondanada, Diana Cooper, Patricia Cota-Robles, Colin Whitby and assorted experts in various fields. The revelation of unity and a renaissance of caring and sharing is quietly transforming our world! The first two sections of the book put this sacred shift in perspective. Section three shares secrets about protecting the potential of our children and posterity. Section four reveals simple, economic ways to bring prosperity and peace down to Earth. This book was compiled for anyone who ever wondered how God could possibly turn what we have today into the prophesied Golden Age. It reveals exactly how we're going to get from here to there -- co-creating our future with family, community, and God!